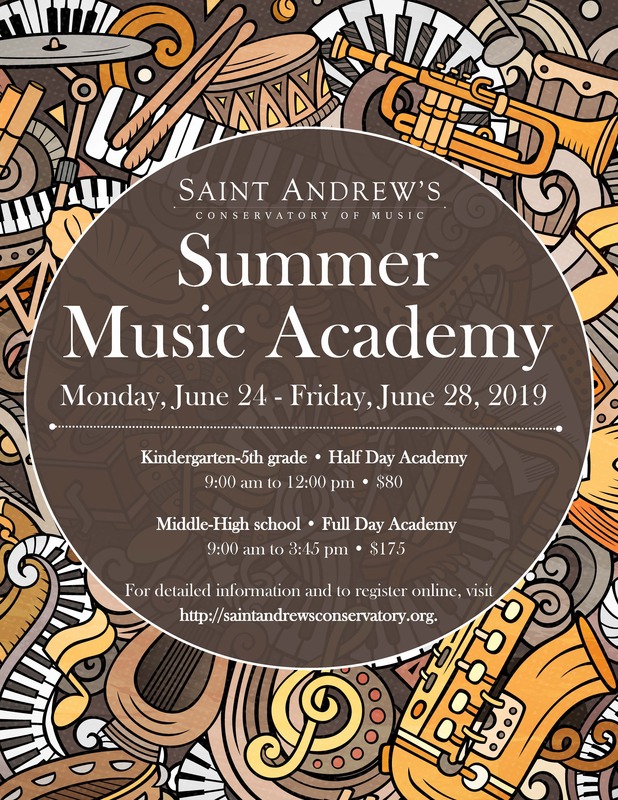 Saint Andrew’s Conservatory is excited to announce the addition of William Cooper to our teaching faculty. He is currently accepting trumpet students for the Spring Semester. William Cooper is Second Trumpet in the Orlando Philharmonic Orchestra. He holds a Master of Music and Bachelor of Music from Northwestern University where his primary teachers included Robert Sullivan, Barbara Butler, and Christopher Martin. He has appeared frequently with the Saint Andrew’s Sinfonia. An active performer, he has also performed with the Atlanta Symphony Orchestra, the Malaysian Philharmonic Orchestra, the Civic Orchestra of Chicago, the Bach Festival Society of Winter Park, the Brevard Symphony Orchestra, and with the national tour of the Broadway show, An American in Paris. William was the 2012 International Trumpet Guild Orchestral Excerpts Competition Winner and was a Bronze Medalist at the 2014 Fischoff National Chamber Music Competition as a member of the Lincoln Chamber Brass. 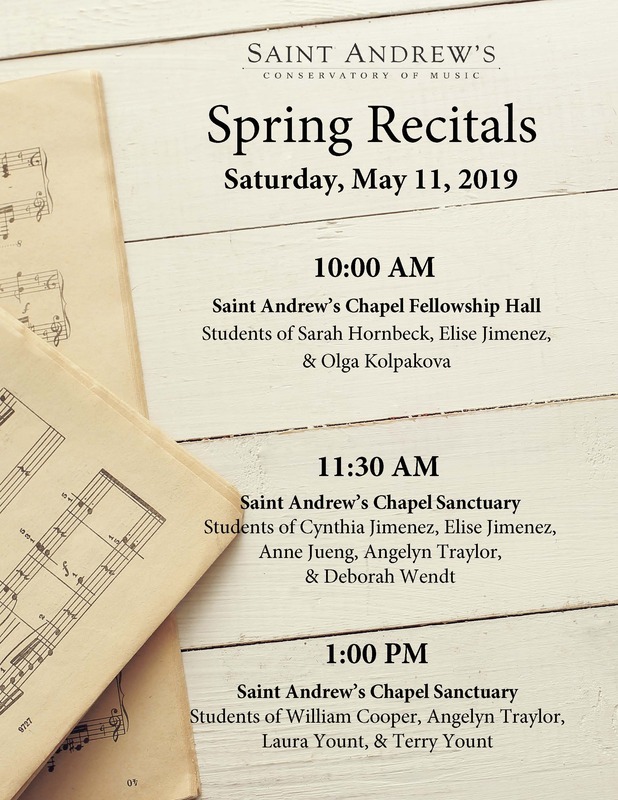 Want to stay in the loop about Conservatory events? 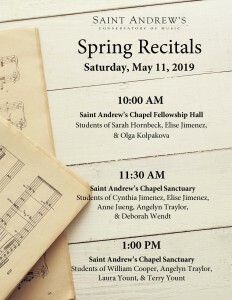 Congratulations to Conservatory student Cecily DeMarco, who has been accepted to attend The Julliard School to study organ performance beginning in Fall 2019. 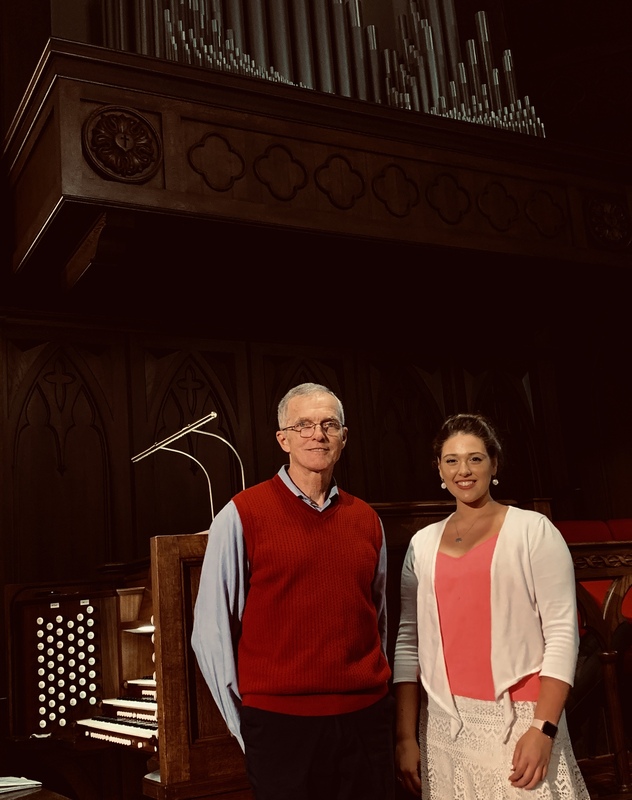 Cecily is a student of Dr. Terry Yount and recently completed her 4th year as organist at The Chapel at Edgewater Pointe Estates in Boca Raton. She has also played several concerts at the Pink Church in Pompano Beach and church services at New Presbyterian Church and Coral Ridge Presbyterian Church in Fort Lauderdale. Cecily is thankful for the opportunity to use the gifts and talents that the Lord has given her for His Kingdom and His Glory! 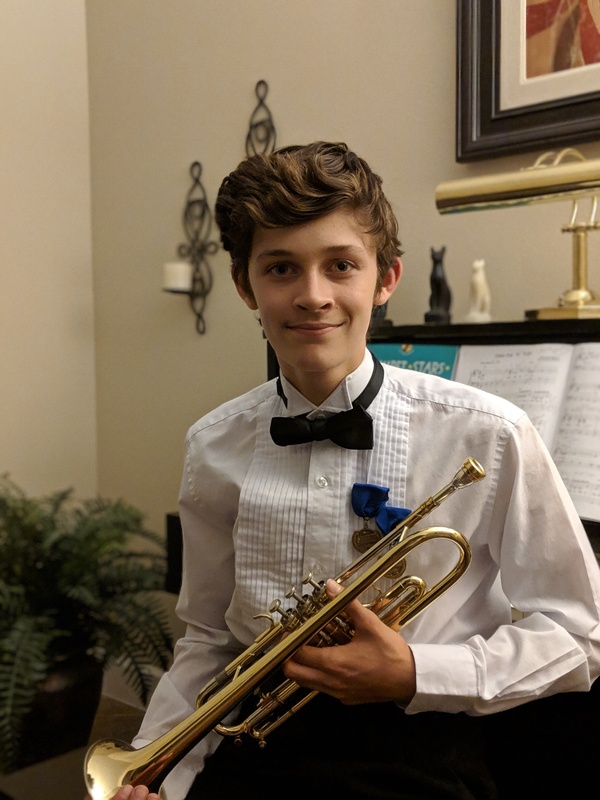 Ben Clausen, trumpet student of William Cooper, performed at FBA District 6 Middle School Solo and Ensemble in February, where he received a Superior rating on his solo. Ben is a member of the Rock Lake Middle School Advanced Band and Jazz Band, has attended Saint Andrew’s Summer Music Academy, and is looking forward to auditioning for the 2020 Florida All State Middle School Band. 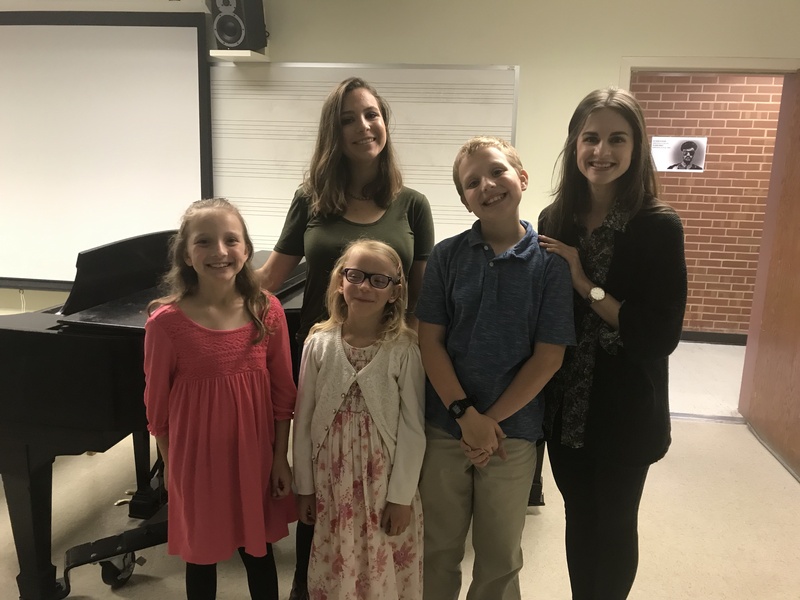 Congratulations to Conservatory piano students Anna, Charlotte, Adam, and Emma Herzog for earning State Honors at Spring 2019 Student Day Examinations, hosted by the Florida State Music Teachers Association. 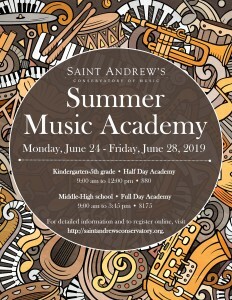 The Student Day event is a rigorous process which involves exams in both written and aural theory, as well as demonstration of keyboard skills and performance of 2-3 memorized pieces, based on skill level. The Herzogs all earned high scores in each category! They are pictured here with their teacher, Angelyn Traylor.